Believe it or not, Nokia keeps doing their expensive 8800 series. And believe it or not, they still run the dreadful Symbian S60. 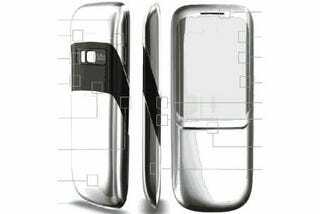 This is the next model, the Nokia Erdos, carved out of a single piece of stainless steel. The 3G Erdos has a 2.4-inch OLED 320 x 240 display that remains invisible under mirrored glass until you turn it on. It also has Wi-Fi, GPS, stereo Bluetooth, 8GB of internal memory, and a 5 megapixel autofocus camera with Carl Zeiss lens, dual LED flash, and video recording capability.